LEXUS IS200 1988cc Engs 1G-FE 1999 On. TOYOTA ALTEZZA 1988cc Engs 1G-FE 1998 On. LEXUS / TOYOTA 2.0 24V 6 CYLINDER DOHC ENGINES. 1 X HEAD GASKET SET. 1 X HEAD BOLT SET. For LEXUS IS300 2001-2005. For TOYOTA SUPRA 1997-1998 (NON TURBO MODEL). For LEXUS GS300 1998-2005. For LEXUS SC300 1998-2000. 3: Made by high quality material, lightweight, anti-rust, colorfast and durable. LEXUS IS I (_E1_) 200 (GXE10) Saloon Petrol 04/1999 07/2005 RWD 24 155 114. LEXUS IS SportCross (_E1_) 200 (GXE10_) Estate Petrol 10/2002 10/2005 RWD 24 155 114. Function Gasket, cylinder head cover. Cross references. LEXUS IS 220d 16V DIESEL 2231cc 150hp 2AD-FTV DOHC (8/2010-8/2012). If we have compatible engine code information listed above, you should also make sure that your engine matches. You are buying a single quantity unless otherwise stated in the title above. (1GFE ENGINES ONLY). 2.0i Sal,Est - IS200. TOYOTA ALTEZZA. (3 LAYER STEEL HEAD GASKET ). A HEAD GASKET. (READ DETAILS BELOW). We can’t confirm without part number as each vehicle have 2-3 different options. LEXUS SC 400 V8 32V GASOLINA 3969cc 260hp 1UZ-FE DOHC (5/1991-1998). LEXUS LS 400 V8 32V GASOLINA 3969cc 260hp 1UZ-FE DOHC (5/1991-8/1997). TOYOTA ARISTO V8 32V GASOLINA 3969cc 260hp 1UZ-FE DOHC (1990-1997). LEXUS RX 400H V6 24V GASOLINA 3311cc 204/210hp 3MZ-FE DOHC (3/2005-). TOYOTA HARRIER HYBRID V6 24V GASOLINA 3311cc 211hp 3MZ-FE DOHC (1/2006-12/2008). TOYOTA WINDOM VVTi G V6 24V GASOLINA 3311cc 228hp 3MZ-FE DOHC (1/2006-3/2006). 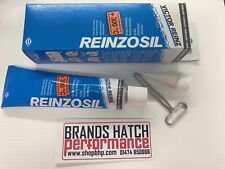 REINZOSIL is a solvent-free, permanently elastic, fast-hardening silicone sealant. Thermal Range: -50 °C to 250 °C (briefly 300°C). 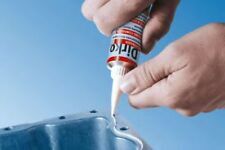 Particularly intended for sealing all surfaces in engines, gearboxes, axles, and also for cylinder liners. Part No : ADT362121C. TOYOTA ESTIMA(LUCIDA/EMINA)3 3.0i FWD ATM 1MZ-FE MCR30W 05/03>05/04. TOYOTA ESTIMA(LUCIDA/EMINA)3 3.0i V6 FWD ATM 1MZ-FE MCR40W 04/03>04/04. TOYOTA HARRIER 3.0i 4 x 4 ATM 1MZ-FE MCU15 11/00>08/03. LEXUS GS 2012> 2.5i Sal - GS250 RWD ATM 4GR-FSE GRL11 Right Hand 01/12>. LEXUS GS 2005-12 3.0i Sal - GS300 RWD ATM 3GR-FSE GRS190 Right Hand 01/05>12/11. LEXUS GS 2005-12 3.5i Sal - GS450h (Hybrid) RWD ATM 2GR-FSE GWS191 Right Hand 02/06>12/11. TOYOTA 1111526051E0, 1111526052E0. Engine Code: 2ADFHV. Engine Code: 2ADFHV; Engine Code: 2ADFTV. BGA CH8594D. Function Gasket, cylinder head. LEXUS IS II (_E2_) 200d (ALE20_) Saloon Diesel 07/2010 07/2012 RWD 16 150 110. FOR LEXUS RX300. Vehicle compatibility. Part specifications. This is an original quality part manufactured by Blue Print. LEXUS GS 450H V6 24V GASOLINA 3456cc 296hp 2GR-FSE DOHC (2/2006-). LEXUS IS 350 V6 24V GASOLINA 3456cc 306/318hp 2GR-FSE DOHC (8/2005-). If we have compatible engine code information listed above, you should also make sure that your engine matches. This is an original quality part manufactured by Elring. FOR LEXUS GS III. Gasket Design:Multilayer Steel (MLS). Fitting Position:Left. Vehicle compatibility. Part specifications. This is an original quality part manufactured by Elring. FOR LEXUS GS III. Gasket Design:Multilayer Steel (MLS). Fitting Position:Right. Vehicle compatibility. Part specifications. LEXUS IS200 1988cc Engs 1G-FE 1999 On. TOYOTA ALTEZZA 1988cc Engs 1G-FE 1998 On. LEXUS / TOYOTA 2.0 24V 6 CYLINDER DOHC ENGINES. 1 X HEAD GASKET SET. LEXUS LX 470 V8 32V GASOLINA 4664cc 230hp 2UZ-FE DOHC (1998-2000). TOYOTA 4 RUNNER V8 32V GASOLINA 4664cc 235hp 2UZ-FE DOHC (1998-). TOYOTA LANDCRUISER V8 32V GASOLINA 4664cc 235hp 2UZ-FE DOHC (1/1998-11/2004). LEXUS IS 250 V6 24V GASOLINA 2499cc 204/208hp 4GR-FSE DOHC (8/2005-4/2009). If we have compatible engine code information listed above, you should also make sure that your engine matches. You are buying a single quantity unless otherwise stated in the title above. This is an original quality part manufactured by Elring. FOR LEXUS IS II. Vehicle compatibility. Part specifications. 3.0 10/2000 - 05/2005 Petrol 2997 Saloon 218 2JZ, GE, 2JZGE. 3.0 10/1997 - 10/2000 Petrol 2997 Saloon 218 2JZ, GE, 2JZGE. 3.0 10/1993 - 10/1997 Petrol 2997 Saloon 209 2JZ, GE, 2JZGE. Lexus - GS300. Rear crankshaft oil seal. For LEXUS IS300 2001-2005. For TOYOTA SUPRA 1997-1998 (NON TURBO MODEL). 1PCS Blade Blank Key Motor For Kawasaki ZX 6R 9R 10R 12R 14R ZZR ZRX ZXR VN BLK. Black Union Jack UK Design Door Handle Cover For Mini Cooper R50 R52 R53 R55 R56. Part No : ADT36759C. TOYOTA ALTEZZA 2.0i RWD MTM ATM 1G-FE GXE10 10/98>07/05. LEXUS IS 2.0i Sal,Est - IS200 RWD 6 MTM ATM 1G-FE GXE10 01/99>12/05. TOYOTA MARK 2 2.0i 4 x 4 ATM 1G-FE GX115 10/00>06/07. HEAD GASKET To Fit LEXUS IS II (_E2_) 220d (ALE20) (2AD-FHV) 08/05-07/12 FAI Auto Parts HG2111B. LEXUS IS II (_E2_) 220d (ALE20) (2AD-FHV) 08/05-07/12. Car Care & Accessories. LEXUS GS 300 24V GASOLINA 2997cc 225hp 2JZ-GE DOHC (8/1997-). LEXUS IS 300 24V (USA) GASOLINA 2997cc 213hp 2JZ-GE DOHC (2001-). LEXUS GS 430 24V GASOLINA 2997cc 225hp 2JZ-GE DOHC (8/1997-). LEXUS IS 200 24V GASOLINA 2997cc 219hp 2JZ-GE DOHC (7/2001-). Gasket Design: Multilayer Steel (MLS). Any information in the compatibility table is for reference only and there may be unspecified choice options. Labour claims & consequential loss claims are never accepted. OTHER PART NUMBERS Warranty Provided 12 Months. Fits Toyota Auris Rav4 Lexus IS. EGR Valve Gasket. 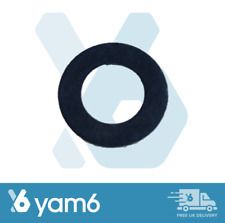 1 x EGR Valve Gasket. Genuine Toyota Lexus. Lexus Service Parts (54). Toyota Service Parts (246). We are specialists in Subaru UK & JDM Models, but cater for all Japanese car manufactures like Nissan, Toyota, Mitsubishi etc. 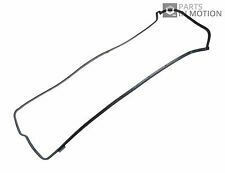 Rocker Cover Gasket. Lexus IS 200 (1999-2005). For the following cars. 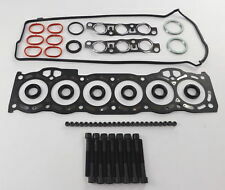 BGA Cylinder Head Cover Gasket Set. Search “BGA Online Catalogue”. Any information in the compatibility table is for reference only and there may be unspecified choice options. Labour claims & consequential loss claims are never accepted. Engine Code: 1GFE. LEXUS IS I (_E1_) 200 (GXE10) Saloon Petrol 04/1999 07/2005 RWD 24 155 114. LEXUS IS SportCross (_E1_) 200 (GXE10_) Estate Petrol 10/2002 10/2005 RWD 24 155 114. 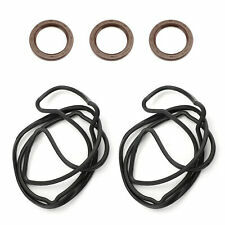 Function Gasket Set, cylinder head cover. Curil T is resistant to mineral oils (also with additives), most commonly used synthetic oils and greases, gasoline and diesel fuels, hot and cold water, seawater, gases, air and weak acids and alkalis.